The Washington State Legislature recently adjourned after fully funding existing housing programs and creating new sources of funding for affordable housing. The work of Washington housing advocates secured significant state investment in the new fiscal year for the construction, operation, and maintenance of affordable housing. 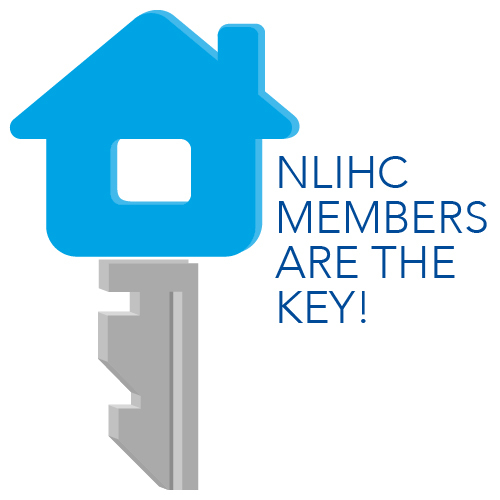 The Washington Low Income Housing Alliance (the Housing Alliance), an NLIHC State Coalition Partner, organized, mobilized, and coordinated advocates throughout the session. The legislature approved a budget appropriating $75 million to the Washington Housing Trust Fund, which promises to create almost 2,000 new homes for seniors, homeless families, people with developmental disabilities and mental illness, and homeless youth. The funds will also support the production of 500 new seasonal and year-round houses for rural farmworkers. Although projects may target people with income up to 80% of the Area Median Income (AMI), the vast majority of projects supported by the Housing Trust Fund have served households at or below 30% of AMI. Created in 1987, the Housing Trust Fund has awarded more than $1 billion in grants for the creation or maintenance of over 40,000 household units. The budget also includes $15 million to the Washington Weatherization Program, which funds rehabilitation of homes occupied by low income households, as well as installation of new materials, such as insulation or sealant for cracks. These energy-saving investments help households save on utility bills, which can help low income households stay in their homes, improve the health and safety of residents, and reduce the state’s overall carbon footprint. The program is available to those in qualified low income housing, such as state or federally assisted housing, or in any housing as long as their income is less than 60% of the state median income. Lawmakers also fully funded two existing housing programs. The Housing and Essential Needs (HEN) program provides housing assistance and access to essential needs, such as health and hygiene products or bus passes, for very low income people with temporary mental or physical disabilities. The Aged Blind and Disabled (ABD) program provides cash assistance for extremely low income adults who are permanently disabled and on track to receive federal Supplemental Security Income. These critical safety net programs are often the difference between life and death for some of the state’s most vulnerable populations. The budget increases by 9% funding for the Temporary Assistance for Needy Families program, which provides temporary cash to families along with the option to participate in the WorkFirst Program to help them find and keep jobs. The legislative session also produced new housing programs and funding sources. Early in the session, the legislature passed Representative Larry Springer’s (D) HB 1223, which provides $45 million for loans and grants to construct affordable housing within one-half mile of a transit station. In addition, a transportation bill (SB 5987), appropriates new funds for affordable housing and services in the Puget Sound region of the state, a major component of which establishes new taxation options for an expansion of the current light rail system. Recognizing the connections between transit and affordable housing, the law requires $20 million to be used for new affordable housing in transit areas over the next five years. In addition, 80% of surplus property owned by any regional transit authority must be made available for affordable housing, with 80% of the units of any resulting housing occupied by households with income no greater than 80% of the area median income. Finally, the legislature passed HB 2263, which gives local governments the option of asking voters to establish new taxes to fund affordable housing and facilities for people with mental illnesses or developmental disabilities. A similar taxation option in 2014 grossed $100 million in locally generated funds. The Housing Alliance accomplished all this by organizing housing advocacy efforts by their members and supporters. One of the Housing Alliance’s largest advocacy efforts is Advocacy Day, for which it organizes and mobilizes housing advocates for visits to the legislature to advocate for housing policy. This year, 660 people participated in Advocacy Day, including 114 board members of service organizations from around the state, and 135 people who have personally experienced homelessness or housing instability. Advocates emphasized maintaining current funding levels and additional investments in mental health, education, and affordable housing. Lawmakers were asked not to adjourn until they expanded access to affordable housing and homelessness programs. The Housing Alliance continued its advocacy urging the Washington State Health Care Authority to create a Medicaid Supportive Housing Services Benefit. This program would allow housing providers to bill Medicaid for medically supportive services provided to residents of supportive housing (see Memo 11/10/14). The federal government recently confirmed that Medicaid funds can be used for this purpose, which encouraged the Housing Alliance to continue its work toward the establishment of this program. Very recently, the Washington State Health Care Authority put the draft of their federal Medicaid Waiver request online for public comment. The Housing Alliance was extremely happy to note that the draft includes the Supportive Housing Services benefit. The work is not done. Despite its successes, the Housing Alliance was disappointed that bills to address eviction reporting, tenant screening costs, source of income discrimination, and notice-requirements for rent increases di did not pass. The Housing Alliance will continue working with its partners, resident leaders, and network of organizational board members to support these and other important issues by targeting key lawmakers, supporting tours of affordable housing and homelessness programs, and undertaking other advocacy actions. This article originally appeared in this week’s Memo to Members.